The building that is now Casa Batlló was built in 1877 by Emili Sala i Cortés. Early in his career, Antoni Gaudí had worked as a draughtsman for Sala i Cortés. 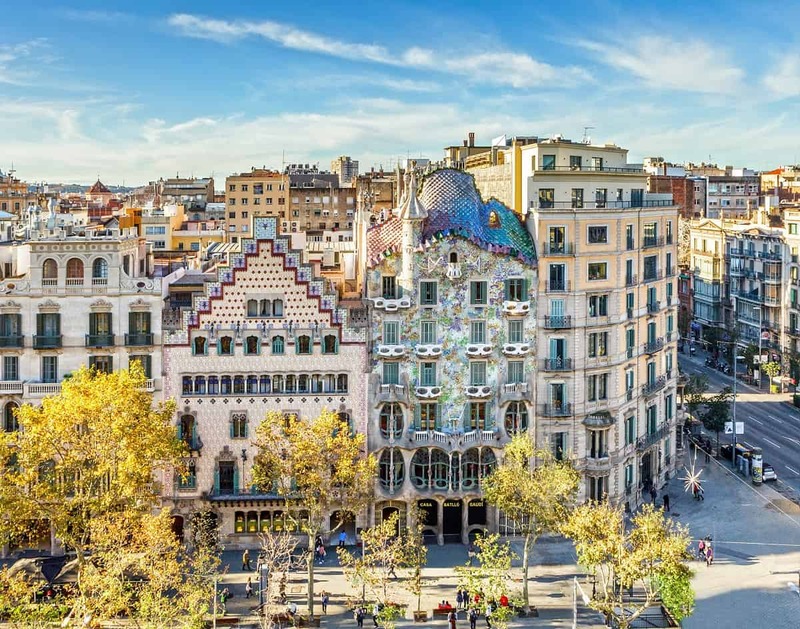 In 1904, textile industrialist Josep Batlló hired Gaudí to design his home in Passeig de Gràcia, a street that was already a high-end location for Barcelona’s bourgeoisie. Batlló was married to Amalia Godo Belaunzaran, from the family that founded the newspaper La Vanguardia. Initially, Batlló’s intention was to tear down the building and build a new one. Gaudí suggested that a renovation was sufficient and the project went ahead, reaching completion in 1906. Casa Batlló is located in the same block as other Modernist houses from important architects such as Puig i Cadafalch and Domènech i Montaner. A fact that led to this part of the street to be known as the Illa de la Discòrdia (Block of Discord), since each facade displays the interpretation of Modernism according to each architect. Until the 1950s the house belonged to Mr. Batlló. It then was bought by an insurance company, which had their offices in the first floor. Later on, in the 1990’s the current owners bought the house and started a renovation that would lead to welcoming visitors in 2002. In 2005 Casa Batlló was listed as a UNESCO World Heritage Site and since then the number of visitors has been growing every year, making it one of the top attractions of Barcelona. The house is not only one of Antoni Gaudí’s most important works, but also the most creative private building designed by the architect. The colorful façade delights the by passers, but it is the interior where all the imagination of Gaudí just flows and encounters utility. His revolutionary building techniques are present in every corner of Casa Batlló making it an admirable piece of work.